All of our marine fuel pumps are new and meet all Coast Guard requirements. 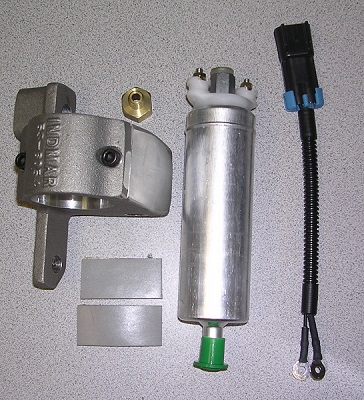 The mechanical fuel pumps are sight tube design and are made of aluminum. They contain a vent tube to be attached to the carburetor or flame arrestor thru a sight tube. This feature alerts the user of possible pump failure. Carter electric rotary vein pumps have positive displacement and compact design. This pump has 7 P.S.I. These electric pumps meet all Coast Guard regulations. 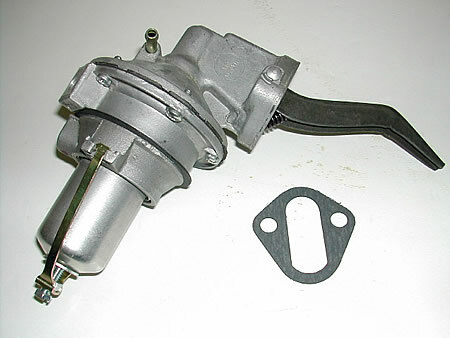 We have available fuel pumps for every application. For more information call us toll free: 800-262-2929. Click the images to enlarge. We ship worldwide and will try to match anyone's price on the same product. We are open 7 days a week from 9am - 9pm Eastern Time.